Haworth is world-renowned for their ability to study the relationship between the human body and the chair they sit on. 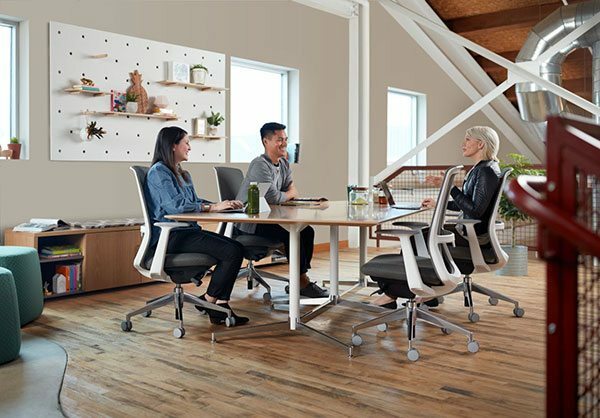 Through global partnerships, Haworth’s task chairs accommodate the breadth of body sizes to ensure fit—each designed with a purpose, in its own form, to offer choice in how people perform while working. You spend a great deal of time sitting when you’re working. 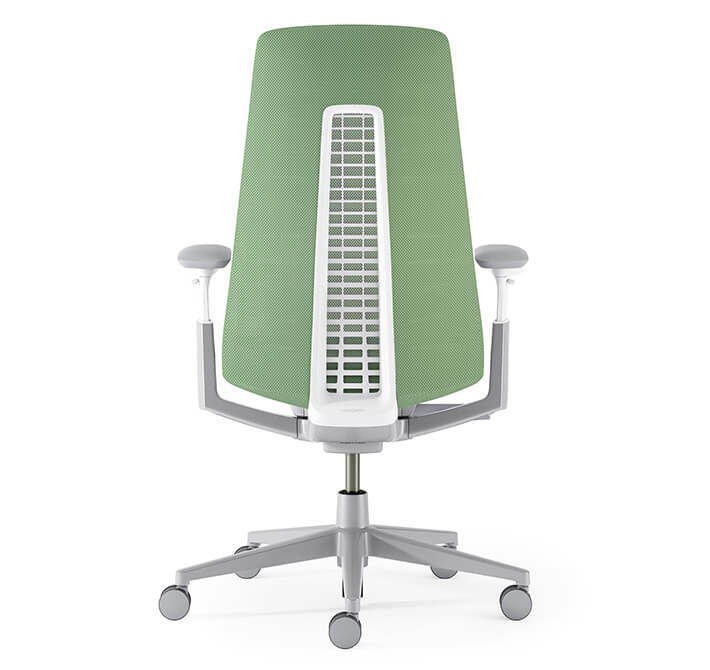 This makes your task chair a critical part of your physical space. 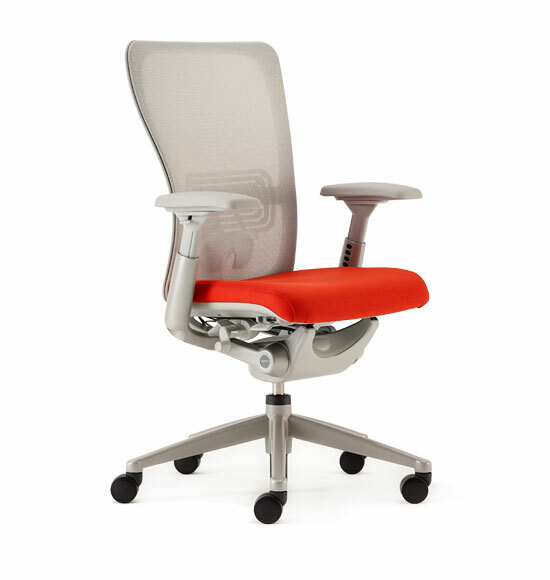 Your choice in task chair directly correlates to your ability to stay comfortable and focused while working. Be sure to choose a chair that suits you best—and find your purpose at work. Where you sit affects your body—and your ability to focus. 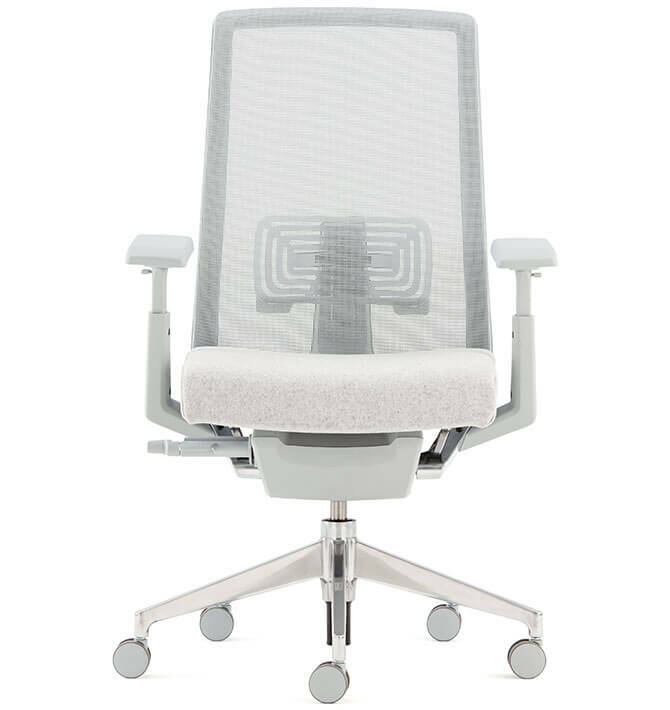 Haworth’s commitment to the science of sitting is grounded in their history of strong design, engineering, manufacturing, and ergonomic expertise. This foundational knowledge is built into every chair, to support you at work and keep you focused. With the comfort Haworth task seating provides, you’re able to get into the flow (also known as the zone)—that mental state of full immersion into an activity. When you’re in flow state, your performance peaks —and so does your creativity. Meet Haworth’s high-performance task chair family. With over three decades of knowledge, research, and ergonomic expertise, Haworth seating is designed for the human body. 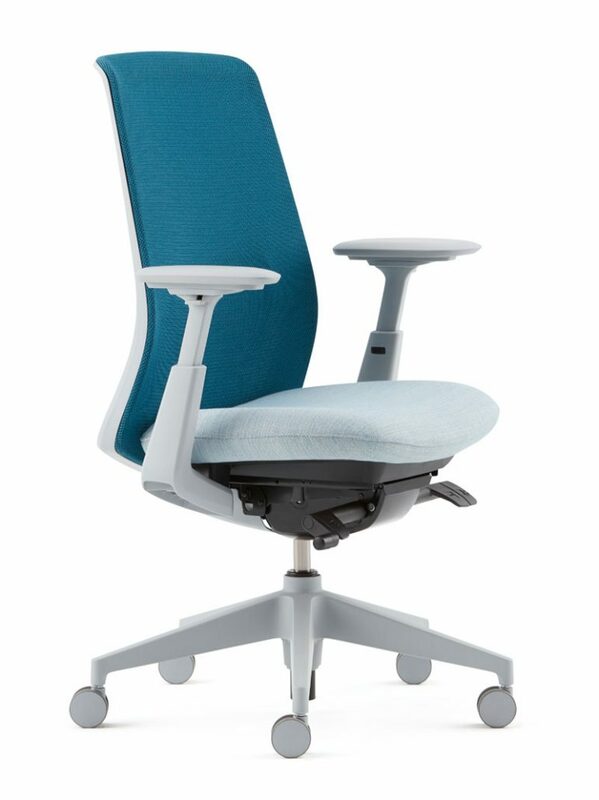 Each task chair in our portfolio gives you choice in how to work. Learn more about Haworth’s three highest performing task chairs—and watch for the newest member of the family, arriving June 1. Innovative, bold design that delivers total back support and an edgeless comfort experience that sets a new industry standard in comfort. An award-winning industry leader that blends science-based well-being with global design and sustainability. Individual comfort and support with universal appeal in a family of seating for the entire workspace. Available Now… Learn More Here!